Suzuki prepared a number of concept vehicles that will be on display in the near future. 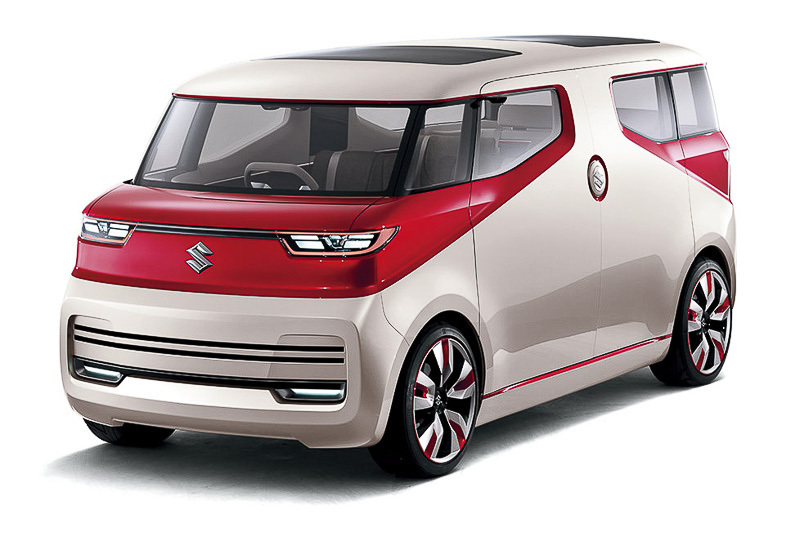 The release of some of the cars that was to take place at the Tokyo Motor Show 2015, which will be held in late October 2015. 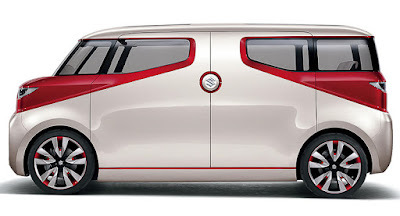 As reported Indianautosblog on Thursday, October 1, 2015, there is a concept car with eccentric shapes that will be exhibited by Suzuki called the 'Suzuki Air Triser,' a box-shaped minivan. Reportedly, this car has a seven-seat passengers with a box shape. 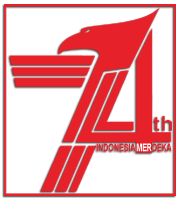 Close-packed equivalent of two colors red and white. Fresh look. 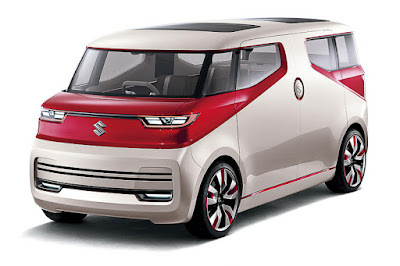 This car will be joined by two other concept vehicles, the Suzuki Ignis and Mighty Deck. 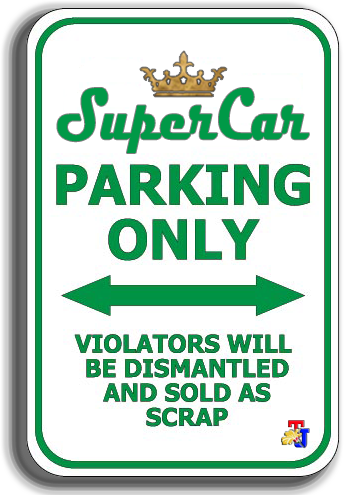 This car has a length of 4,200 millimeters, a width of 1,695 mm and 1,815 mm high. Besides, it also comes with a slim-shaped headlight features, lower front fascia, LED taillamps, and a large alloy wheels. 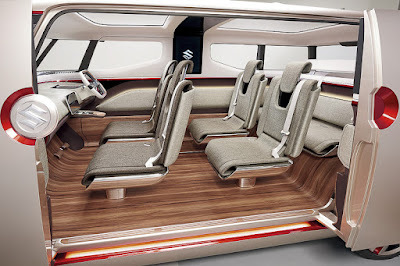 The door can be opened by sliding, so passengers can enter easily and look more attractive. 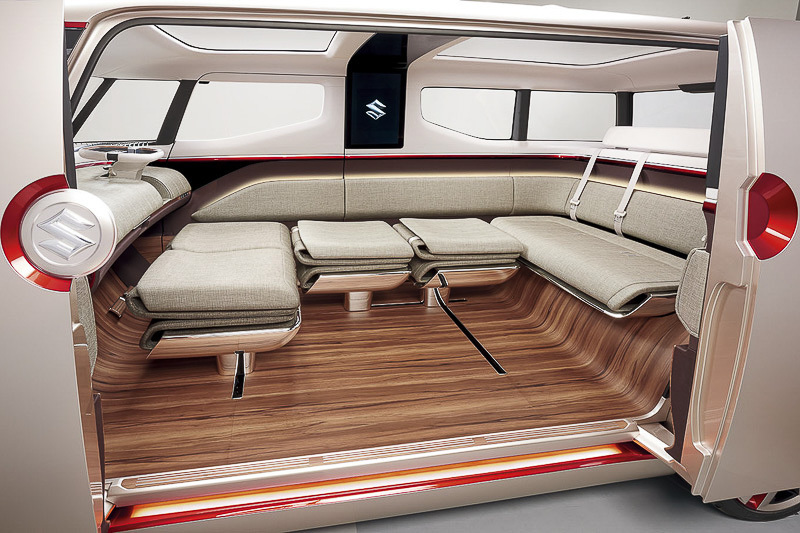 Entry into the cabin, equipped with wooden floors, mated with a gray dashboard. The more luxurious with stuffing the transparent instrument display, and infotainment tablet-esque screen. 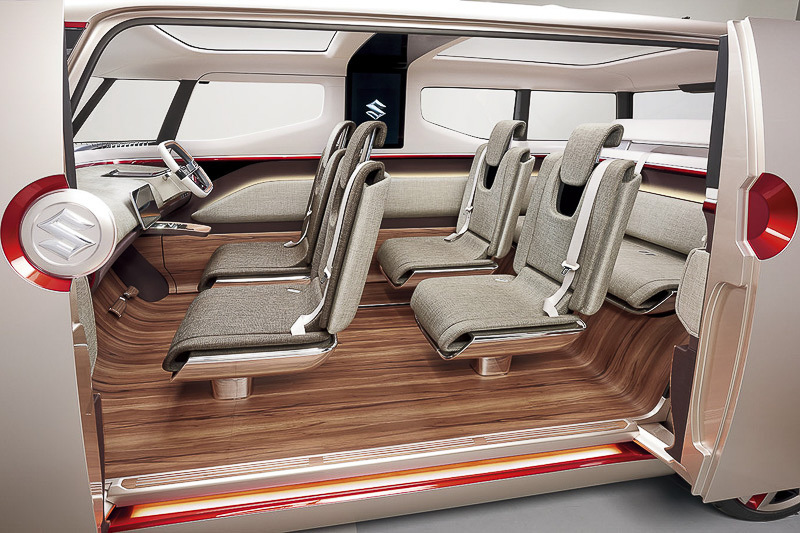 This car offers three rows of seats that can be folded and arranged to offer a "private lounge". There is a separate screen located on the B pillar as entertainment control.